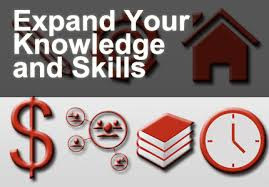 Acquiring a new skill and expanding your knowledge doesn’t have to cost you a fortune. There are many easily accessible, free services on the web that can help educate you on countless topics. Tutorials, instructional videos, even classes are available to teach you a variety of skills, from changing the oil in a car to learning a new language – it’s up to you! Enjoy checking out these sites- you’ll definitely find what you’re looking for. eHow – One of the biggest how-to sites on the Web, this site is home to hundreds of thousands of videos on an infinitely broad spectrum of topics. Do It Yourself – Whether you’re trying to repair your car, decorate your home, or build your first greenhouse, you’ll find some helpful guidance here. MathVids – If you’d rather learn from videos, the instructional ones provided here will be helpful to you, offering explanation of a wide variety of math issues, and full classes. Digital Arts – Need a little creative inspiration? This site can help you out and help you better learn to use your digital art tools. Digital History – This online project offers users a wide range of digitized historical information to make learning easy and fun. VideoJug – With great videos on topics ranging from knitting a scarf, to toning your shoulders, you’ll be able to find just what you’re looking for here. Instructables – This site offers a wide range of video tutorials where users can showcase all their valuable skills. Wikiversity – With over 10,000 free learning resources, you’ll find tons of great instructional materials here.